Want to Know How A Computer Works? 18 Feb Want to Know How A Computer Works? You Use One Daily, So Do You Know How Computers Work? Most people use one without actually knowing how a computer works. Just in the same way we don’t need to understand how our cars work in order to drive them, we don’t really need t o know how a computer works to use one. However, it is always good to know at least that a car’s engine needs oil to operate, even if we don’t know why. But it’s good to know nonetheless because this helps with the automobile maintenance schedule. I will give an extremely basic explanation on how computers actually function. This will give you a better idea on what to expect from your computer and how to take care of it. The hardware is the electronic parts that are actually tangible. These could be the hard drive, the motherboard, and every other physical component in the computer. There are certain hardware components that a computer needs in order to work. These components are inside your workstation’s tower, for example: The motherboard, RAM memory, Hard Drive, and Processor. These components are essential to a working computer. 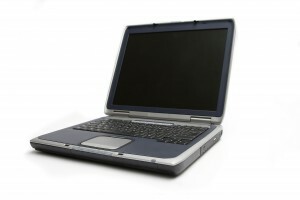 Monitors, mice, sound cards, and more are also considered hardware and they can be present or not, just depends upon the computer’s system requirements and configuration. Software on the other hand, is what allows the hardware to work and allow users to operate it. Software is made up of intangible code or instruction sets that tell the hardware how and what to do. Computer hardware would be useless without the software giving orders. The opposite also holds true. Software wouldn’t “exist” without hardware. This is because Software, programs, etc, need to sit or reside on some type of memory storage, let it be hard disk space or RAM memory. Software is processed by the computer’s main processor or CPU. For an easier way to picture how a computer works, compare it with the human body. The main processor would be the “brain,” which handles all the instruction, or “thoughts,” and thus controlling the whole system, including the all of the hardware, complete tasks and perform various functions. This is an extremely basic explanation on how a computer operates, but it should be enough to provide a raw idea on how a computer system works. In another article we will explain how your Operative System works with your computer to help you accomplish different tasks.